At the heart of the Ministry of Dhol, is its founder and leader Prithpal Rajput also known as the ‘Funky Dholi’. Prithpal is a highly skilled multi percussionist and a charismatic live performer. 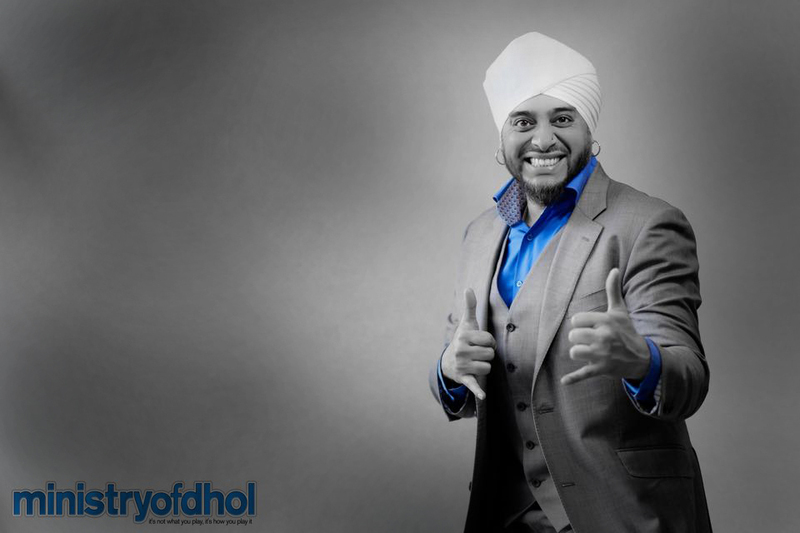 He started drumming at an extremely young age and is acknowledged as a veteran dhol player in the UK. Along with the commitment and hard work of the students, Prithpal and the MOD have performed at many prestigious events and venues all over the world and have also collaborated with respected and highly acclaimed musicians and bands both on national and international stages. Aside from the success of the MOD, Prithpal is also a long standing full time member of the Asian Dub Foundation. As well as running on-site Workshops throughout the UK, the Ministry of Dhol hold 3 Permanent Weekly classes in Slough, Cranford and Reading. Each class is a collective of students from all levels of the MOD syllabus and of varied ages. The teaching structure is based upon a one to one format, with emphasis on the spoken composition of dhol beats (Bol). Further emphasis is then placed on technique and clarity of dhol playing. As an assurance, Prithpal is present and teaching at every class, however when he is not there the designated Team-Leaders supervise and run the class. Below is a list of the Dhol classes. If you would like further information about the classes, please use the contact information below.